In 1972 President and Military General of Uganda, Idi Amin, ordered for the expulsion of all Ugandans of South Asian descent. They were given just 90 days to leave the country. The Uganda Collection is a unique archive that provides insight into the expulsion and subsequent resettlement of over 7,000 Ugandan Asian refugees in Canada. Migration and Refugee studies has been a growing interdisciplinary field for academic research over the last two decades. New undergraduate and graduate courses as well as academic programs are now developing to further understand the movement of people across national borders. Carleton University is proud to house the Institute of African Studies, an interdisciplinary degree program also committed to community outreach. 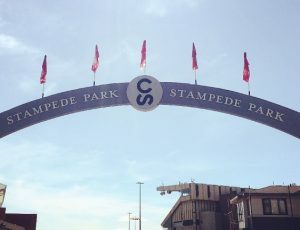 It is the first program of its kind in Canada. The Uganda Collection at Carleton’s Archives and Research Collections contributes to this growing field along with the Migration and Diaspora Studies Initiative at Carleton University. This collection offers a unique perspective on the history of the Ugandan Asian Expulsion that occurred in 1972. 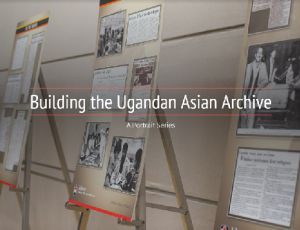 This archival collection consists of a number of different materials including over 1000 newspaper clippings, two video recordings, and a personal memoire that documents the experiences of the Canadian Immigration team sent to Kampala in 1972. The archive also holds numerous oral histories from Ugandan Asian refugees who recapture their lived experiences of the expulsion decree and their subsequent resettlement in Canada. This collection also documents how the situation was handled by Western countries, particularly Britain and Canada. 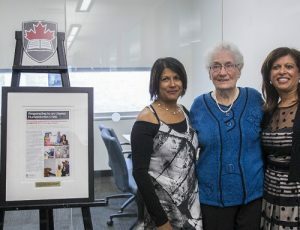 The initial collection was recognized for its importance and thus organized and transferred to the Archives through the efforts of the Canadian Immigration Historical Society. Through ongoing acquisition activities, new material continues to be catalogued and added to the collection.